Green Bay, Wis. – Chuck VandenLangenberg, the second-longest tenured employee in the 86-year history of H.J. Martin and Son, retired from the company last month after 46.5 years. 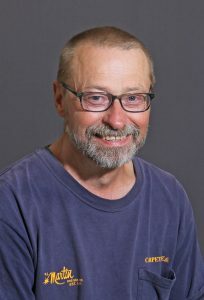 Only John Richards, who retired from the glass division in 2012, was employed by H.J. Martin and Son for a longer period (50 years). Remarkably, VandenLangenberg missed only two days of work in his time with the company. At retirement, he served as Residential Crew Manager, overseeing approximately 50 flooring installers. VandenLangenberg began working part-time, unloading tile from boxcars, at H.J. Martin and Son in 1969 at the age of 17 while a student at Green Bay’s Preble High School. After graduating in 1970, he joined the company on a full-time basis in January of the following year. Initially, VandenLangenberg worked in the company’s warehouse, where he cut glass and was a truck driver. Within six months, he began as a residential flooring installer, ultimately becoming the acknowledged top installer at H.J. Martin and Son. After nearly 30 years in the field as a residential installer, VandenLangenberg was promoted to Residential Crew Coordinator around the year 2000. Using his vast experience as a guide, he initially oversaw a crew of roughly 28 installers, serving as a mentor and coordinating the installer schedule. VandenLangenberg also worked with area contractors and the company’s sales staff to resolve any issues which might arise. For VandenLangenberg another rewarding aspect of his time with H.J. Martin and Son was the opportunity to work with 12 different family members at various points throughout his career. His son, Gary, started with the company at age 16 as an installer helper and rose through the ranks to become vice president of commercial interiors in 2014. One of his brothers, Bill, remains with H.J. Martin and Son as commercial crew coordinator, and three other brothers – Tony, Bert and Lee – have worked for the company at one time or another. Another of his sons, Chuck Jr., once worked summers, and today a grandson, Matt, and step-grandson, Nathan, work in the same capacity while in college. Additionally, two brother-in-laws, Don VandenAvond and Scott VandenAvond, are current employees, and two of Bill’s sons, nephews Tyler and Doug, have been H.J. Martin and Son installers. Brian Valentine, who worked with VandenLangenberg for more than 20 years, assumed many of his duties following his last day on the job (June 2, 2017). 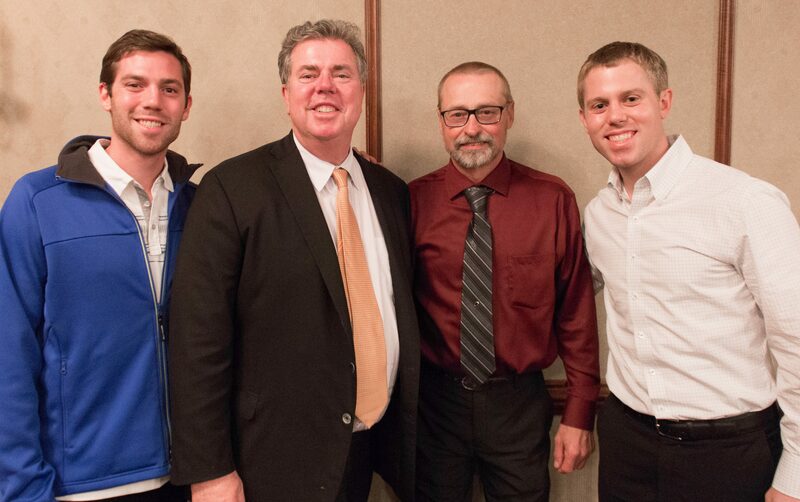 Chuck VandenLangenberg (third from left) shared memories with members of the Martin family (L-R: Joe, Edward and David) at his retirement party in May 2017.